Most useful, a real kingpin in the wardrobe. The model has an air of the 30´s with deep open box pleats at the front which turns slightly outwards. 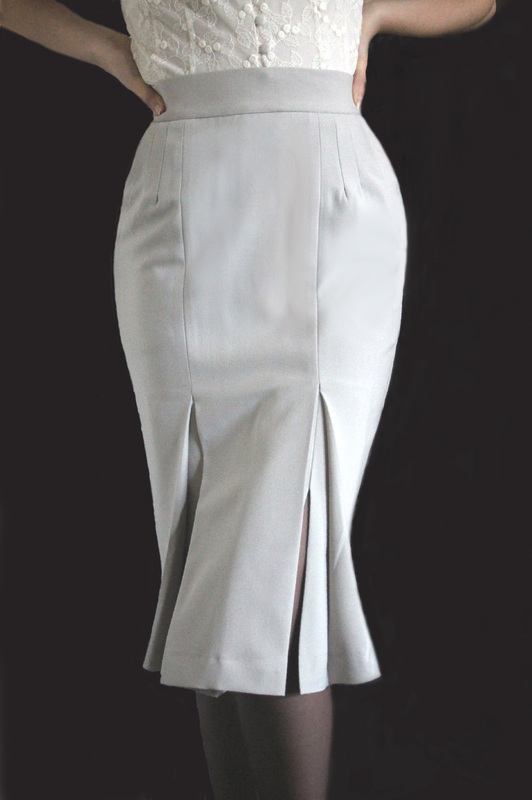 This kind of pleats makes the skirt appear just a tiny bit flared at the bottom. Side pockets, elastic waistband and silky jersey lining contributes to the comfort.